Dinosaurs are fascinating creatures that I’m sure we’ve all loved at some point or another (personally speaking, they’re still my favourite animals). These reptiles ranged in size from colossus to minuscule, from land-bound creatures like T-Rex and Velociraptor to sea-going creatures like the Plesiosaurus to the flying Pterodactyls. Evolutionary scientists tell us that these creatures supposedly died out some 65 million years ago – apparently in a meteor strike. But are they extinct? Many think not – both Creationists and Evolutionists. This is certainly a popular idea in movies. My personal favourite of such movies (one of my all-time favourite movies) is Journey to the Centre of the Earth (2008), in which the main characters (played by Brendan Fraser, Josh Hutcherson and Anita Briem) encounter plesiosaurs, and are chased by a Gigantosaurus (all in the centre of the Earth). Another movie I love that plays on this theme is Ice Age 3: Dawn of the Dinosaurs (2009), in which the main characters accidentally discover a large underground world in which dinosaurs rule supreme. But by far the most popular of such movies is the Jurassic Park franchise, in which the dinosaurs are resurrected from the dead via cloning – only to turn wild. So, is there any truth to this? Or is it just a Hollywood plot device? Surprisingly, the evidence points to it being true. Australia is said to be home to a variety of cryptid creatures, from the aquatic Bunyip, the man-like Yowies and Wakkis, and the thylacine. There is another, however, that could be considered stranger than all the others. Why? Because its said to be something that should have gone extinct 65 million years ago! The creature in question is called the Burrunjor, and is said to be a surviving dinosaur. Now, before you think that there is no possible way the Burrunjor could be real, remember that there are sightings and stories of other dinosaur-like creatures from around the world – for example, the mokele-mbembe, kongamato, and others in Africa, “Mounatin Boomers” in the U.S., the Partridge Creek Monster, and more. “In 1978, a Northern Territory bushman and explorer, Bryan Clark, related a story of his own that had taken place some years before. While mustering cattle in the Urupunji area, he became lost in the remote wilderness of that part of Arnhem Land. It took him three days to find his way out of that region and back to the homestead from which he had originally set out. “He didn’t know it at the time, but his footprints had been picked up and followed by two Aboriginal trackers and a mounted policeman. On the first night of their search they camped on the outskirts of the Burrunjor scrub, even though the two trackers protested strongly in doing so. The policeman hobbled his horse, cooked their meal and then climbed into his swag and went to sleep. “Later that night the two Aborigines, shouting unintelligibly and grasping for their packs and saddles, suddenly woke him up. The policeman realized at this mount the ground appeared to be shaking. Hurriedly getting to his feet, he, too, gathered up his belongings. Shortly afterwards the three galloped away. The policeman told Bryan Clark later at the Urapunji homestead that he also heard a sound, somewhat like a loud puffing or grunting noise, certainly loud enough to be coming form a large animal. When asked if he intended to include this in his report, the policeman replied that he would not because he bread that no one would believe him. The Burrunjor has been known to attack and eat cattle, and several reports describe this happening. In 1957, a group of 50 cattle were upset by something near the McArthur River in the Northern Territory. The ranchers there didn’t know what was happening, and were even more perplexed when one of them ran into the river screaming. They heard a loud grunting/snorting noise, and saw the silhouette of a “tall monster” disappearing into some nearby scrub. The next day the ranchers found several half-eaten cattle. The same thing happened in 1980, when something was killing cattle, and apparently carrying them off, too. A rancher, Charles Waterman, saw a “fearsome, mottled, 20-foot tall beast” carrying a cow as he hid behind a bush. Other ranchers decided to go after the creature, and did so. They went searching with dogs, and when they got to a river the dogs started acting strangely. After the dogs ran off, the men found “reptilian trackways.” They also decided to leave the area. Aborigines also have stories and drawings of the Burrunjor, like the one below, that look decidedly like something like a T-Rex. Is the Burrunjor really a living dinosaur? From the reports, it definitely sounds like one. I would not think it to be impossible for a relatively large theropod dinosaur to remain hidden in Australia. The tribespeople of pre-European Australia had traditions that described saurian-type reptiles centuries before they ever had access to European textbook illustrations of dinosaurs. Aborigines of Arnhem Land believe that a vast region hereabouts, which they call Burrunjor, is the habitat of a terrifying, nightmarish, mammoth-sized reptilian monster, which they also call Burrunjor and whose description can be said to resemble that of Tyrannosaurus rex. Campfire stories substantiating Aboriginal claims are commonplace across the far north. In 1978, a Northern Territory bushman and explorer, Bryan Clark, related a story of his own about an event that had taken place some years before. While mustering cattle in the Urapunji area, he became lost in the remote wilderness of that part of Arnhem Land. It took him three days to find his way out of the region and back to the homestead from where he’d originally set out. He didn’t know it at the time, but his footprints had been picked up and followed by two Aboriginal trackers and a mounted policeman. On the first night of their search they camped on the outskirts of the Burrunjor scrub, even though the two trackers protested strongly against doing so. The policeman hobbled his horse, cooked their meal and then climbed into his swag and went to sleep. Later that night the two Aborigines, shouting unintelligibly and grasping for their packs and saddles, suddenly woke him up. The policeman realised at this moment that the ground appeared to be shaking. Hurriedly getting to his feet, he, too, gathered up his belongings. Shortly afterwards, the three galloped away. The policeman told Bryan Clark later at the Urapunji homestead that he also had heard a sound, somewhat like a loud puffing or grunting noise, certainly loud enough to be coming from some large animal. When asked if he intended to include this incident in his report, the policeman replied that he would not because he feared that no one would believe him. The policeman warned Bryan never to return to that area, because if he got lost there again he’d be “on his own”: the police would not come looking for him. The region’s cave art, thousands of years old, depicts these monstrous animals. Many Aborigines of the Arnhem Land region believe these monsters wander back and forth across the Gulf country and Cape York to this day. Regardless of what outsiders may think of these tales, the locals—both Aborigines and scattered European settlers—take them seriously. Bushman Allan Ritchie, who conducted lapidary rock hunting safaris to some pretty remote parts of the far north during the 1970s, came to believe that there is some kind of dinosaur-type reptile inhabiting the Northern Territory jungles and scrublands. “I found the Aborigines terrified of these animals. 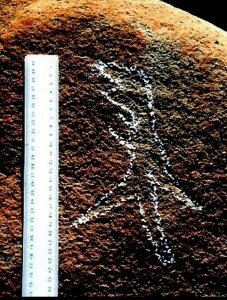 Some tribesmen showed me ancient rock paintings depicting the monsters, which they called Burrunjor. They describe Burrunjor as a Tyrannosaurus-like reptile. There is one region of jungle in Arnhem Land beyond which no horse will go willingly—nor will most Aborigines. Horrific sounds are heard by night and day, and the crashing of foliage in the jungle as the monsters move about. Some Aborigines and Europeans have come across enormous tracks in the soil, more than enough to keep most people out of the region,” Ritchie told me in 1982. In the coastal border country between the Northern Territory and Queensland and west of Burketown, there is another region where, like Arnhem Land, no Aborigines, horses or cattle dogs will go—for there, too, Burrunjor is said to roam. Back in 1950, cattlemen lost stock to some mysterious beast that left the mutilated, half-eaten remains of cows and bulls in its wake over a wide area, stretching between the border country and Burketown. Searchers on horseback found huge reptilian tracks of some bipedal-walking beast. They followed the tracks with their cattle dogs through some rough jungle terrain until they entered swampland, beyond which was more dense scrub. It was at this point that the cattle dogs became uneasy and ran off. The horses were also uneasy and obviously did not want to cross the swamp. Most of the cattlemen decided that their animals knew best, but two men set off on foot with their carbines. The story goes that they soon came across further tracks in an open area beyond the swamp. While his mate searched about, the other man briefly spotted the dark form of an enormous creature, perhaps 30 feet (9.14 metres) in height, further off in dense timber. The men left the scene in haste. Johnny Mathews, a part-Aboriginal tracker, claimed to have seen a 25-foot-tall (7.62-metres-tall) bipedal reptilian monster moving through the scrub near Lagoon Creek, on the Gulf coast, one day in 1961. “Hardly anyone outside my own people believes my story, but I know what I saw,” he said to me in 1970. In June 1999, huge bipedal reptile-like tracks were found in sandy soil southwest of Alice Springs in the Northern Territory by Aborigines shooting wild boar. Similar, huge, claw tracks—a set of two dozen or so three-clawed footprints—were found in a dry creek bed north of Mount Isa, Queensland. Some residents of the Normanton, Queensland, district on the Gulf of Carpentaria believe Burrunjor lives deep in the mountains far to the northeast of there, occasionally emerging into the more open country to carry off stock. They say these creatures roam at night hereabouts, and the thumping of their powerful legs has been heard by campers. One day in May 1980, Max Field, a dingo shooter, was following freshly made tracks through scrub in the Kanuma district near Walker River, about halfway between Karumba on the Gulf coast and Normanton, when he came across a number of indistinct, giant-sized, three-clawed tracks of a bipedal animal in grass, extending across open hard ground and a dry sandy creek bed and then on into dense scrubland. Max forgot about the dingo and began looking for more of these footprints. Max, a part-Aboriginal, knew that only one animal could have been responsible, and after counting at least 50 footprints he then left, but returned later with two mates. They measured a couple of the footprints, which were two feet 71⁄2 inches (80 centimetres) in length by two feet five inches (73.6 cm) in width across the outstretched claws. The footprints were indistinct or did not register in the hard stony ground. The indistinct impressions left in the dry creek sand were at least three inches (7.62 cm) deep. The centre toe was at least 141⁄2 inches (37 cm) in length, and the outer toes measured 10 inches (25.5 cm) in length. All were at least 43⁄4 inches (12 cm) in width. The men measured the distances between six footprints over a length of 19 feet 10 inches (6.05 m). The left-to-right impressions were three feet 11 inches apart (1.2 m), leaving an average stride of nearly 32⁄3 feet (1.1 m). The animal had stridden across quite open country to enter the area where the footprints were found, so, unless this had occurred at night, the Burrunjor responsible could not have helped but be seen by property owners and others. As the men judged the impressions to be only a day old and heading west to east, they wondered if they should attempt to follow the monstrous creature but their common sense prevailed. The men decided that the maker of these footprints had to be at least 19 feet (5.8 m), perhaps 20 feet (6.1 m), in height. My wife Heather and I arrived in the Gulf country in October 2002 to investigate the Burrunjor personally. I had heard that fresh tracks of an enormous reptilian beast were claimed to have been found by people in the Burketown district, inland from the Gulf, on the Albert River in 2001, and again on the Leichhardt River, south of Floraville, in August 2002. North of Burketown, across Pascoe Inlet at Point Tarrant, fresh tracks of a “two-legged reptile” were claimed to have been found on a mud flat by Aboriginal fishermen in 1979. Soon afterwards, fresh mudflat Burrunjor track impressions were found in that district and Aborigines began avoiding the area. In early 1992, Aborigines found more large three-toed impressions of the enigmatic Burrunjor in the same area. In the past, its huge tracks have been claimed found over a wide area of the inland, in places such as the Croydon district and the Gilbert River near Mount Clark, Queensland. They turned up in the Weipa area in 1990 and in the Aurukun region of western coastal Cape York Peninsula in 1998. Gulf bushmen have many tales to tell of mystery animals seen hereabouts and in the Gulf waters. But when it comes to Burrunjor, the height and proportions of this reptile increase depending upon the pub in which you meet these hardy fellows! Yet despite the tall tales the researcher has to put up with, there are stories deserving further investigation, such as that of Jack and Jane Mulholland, who in 1970 were driving in their four-wheel-drive vehicle from Floraville to the Flinders River. The date was 9 September and the time about 11 am as Jack was driving along a dirt road, when suddenly they both spotted a large shape moving through the roadside scrub. Jane later described the creature coming into view as “a fearsome animal”. Jack, on the other hand, described it as a “20-foot-tall ‘Tyrannosaurus-like’ monster with a mottled skin colouration”. Back in 1922, in the country north of Cloncurry, south of the Gulf, stockmen claimed to have seen “a big lizard monster” that was standing upon two legs and observing them while moving its tail from side to side. The beast began moving in their direction, so they “rode off quick smart”. The Gregory Range, southeast of Normanton, is a region of Burrunjor folklore extending back generations, and an ancient Aboriginal rock engraving of the giant is known to a few people in the Mount Surprise area. In 1977, an Aboriginal couple chanced upon a Burrunjor, up to 20 feet in height, feeding upon a black bullock it had carried off from a cattle station in the Normanton district. The grey-skinned monster resembled a Tyrannosaurus, they claimed later. They ran from the scrub they were in, screaming in terror. Reaching their four-wheel-drive vehicle, they drove out of that place as fast as they could. A man-sized, blackish-brown-coloured bipedal reptile was claimed seen deep in the Gulf scrub somewhere near Arnhem Land’s eastern base country in 1982 by several Aborigines and whites on a cattle muster. It was seen to bound through scrub at a considerable pace, parallel with the direction of the horsemen. It did not show any fear of them but disappeared into the scrub. No one dared pursue it! During a dust storm in 1961, in a remote Gulf scrubland area north of Mount Isa, a party of six ‘roo-shooters had to shelter in their truck in the bed of a dry creek. Amid clouds of swirling dust as three men sheltered inside the driving compartment and the other three sat inside the canvas-covered back, the men in the front spotted a dark object emerging from trees some distance ahead of them and then moving across open ground, oblivious to their presence. It was perhaps eight metres tall and moved on two legs, its large head a dark form amid the dust. “Visibility was bad but we are sure it was no normal animal; certainly not a kangaroo, like a scientist later told us after I reported the incident. “The storm of dust eventually subsided, but there was no sign of the mystery giant monster. In any case, the group got out of the area pretty fast. “Back in 1950, an eerie discovery was made: a lengthy ‘trackway’ of bipedal reptilian three-clawed footprints was found and followed by a lone buffalo-shooter in Arnhem Land, some miles east of Darwin. They led across sandy soil, into and over and along the bank of a dry creek bed, through scrub and into more open ground. Jack followed the tracks for about a mile, rifle at the ready, before feeling uneasy about going any further. “The tracks were about a day old, but what if their maker was somewhere just ahead?” Tom asked. Jack was on foot and far from his camp, so he turned back. Returning to his camp, he packed his truck and drove out of there. “Others have told me they have heard the sound of some huge beast ‘huffing’ and ‘puffing’—but not any buffalo—in the same region, and also at one spot in the Gulf coast west of Normanton over the years. These incidents have been at night and include the sounds of crashing foliage as some tall, large animal moves through the scrub,” Tom informed me. Mounted policemen and black trackers in the 1940s and 1950s reported similar sounds, day and night, and the finding of large bipedal, three-toed tracks. Photos taken of one such set were sent to a university scientist in Brisbane, but these were unfortunately “lost” (or, should we say, “swept under the carpet”?). Similarly, plaster casts made of two other large footprints sent to an Adelaide scientist in the 1940s also vanished without trace. There are old tales of the Aborigines about hunting parties having speared these monsters long ago. A tribe was forced to scatter when one of these monsters entered their desert camp in the country northwest of Ayers Rock (Uluru). A lubra had to flee from a swamp while picking water plants when a taller-than-man-sized reptilian monster approached her from out of the bush in the Gulf country; warriors saved her by spearing the creature. Johnny Mathews, a part-Aboriginal tracker, claimed to have seen a 25ft tall bipedal reptilian monster, moving through scrub near lagoon Creek on the Gulf coast one day in 1961. “Hardly anyone outside my own people believes my story, but I known what I saw”, he said to me in 1970. In 1985 a 4-wheel drive vehicle and it s family of travellers, the Askeys, heading for Roper River Mission, happened to take a back road for some sightseeing. Just before they were to pull up and turn around to resume their journey to the mission, they all saw, moving together across an open plain some distance away, two bipedal-walking reptilian creatures a good 20ft tall respectively. “The monsters were a greyish-brown colour and dinosaur-like in appearance. We didn’t wait around”, said the father, Mr Greg Askey. OK, I think we’ve established that dinosaurs are alive in Australia. (Being an Aussie, I thought I’d give that first.) What about other places? The Pygmies, and people of other tribes living near this part of the forest – which is known as the Likouala – call these creatures Mokele-mbembe (moh KAY lee muh BEM bee), which means, “one who eats the tops of palm trees.” These people claim that a Mokele-mbembe is about the size of an elephant, with smooth, grayish-brown skin, a long, snakelike neck and head, and a long, thick tail much like the tail of a crocodile. The creatures are said to spend most of their time in the waters of the Sanga and Ubangi rivers, and to wade up unto the riverbanks at dawn or dusk to eat the fruit of a vine that grows along the rivers. In 1932, a British scientist exploring near the Likouala region where the creatures are said to live, came across some huge footprints. Later, when he went down one of the rivers in a canoe, he heard strange sounds but did not see anything. In recent years [this book was published in 1986] a scientist studying crocodiles near the Likouala photographed a huge, clawed footprint thirty-six inches (91 centimetres) wide. In 1978, a group of French explorers went into the Likouala region and have not been heard from since. In 1980, an American scientist, Dr. Roy Mackal, went to the Congo to see what he could find out about Mokele-mbembe. He visited people who live near the Likouala region and found more than thirty who claimed to have actually seen a Mokele-mbembe. Dr. Mackal had brought along a number of pictures of animals such as elephants, hippopotamuses, and crocodiles, as well as some pictures of sauropod dinosaurs. When he asked people who said they has seen a Mokele-mbembe to pick out the animal that was most like it, they all chose one of the dinosaur pictures. Dr. Mackal decided to form an expedition to try and find and photograph, or even capture, a Mokele-mbembe. In October of 1981, he and two other scientists, with a professional photographer and other people, headed into the steamy, swampy jungle of the Likouala. They spent six weeks searching, but found no trace of anything such as a Mokele-mbembe, except for a trail of footprints and crushed grass leading to a river. The trail could have been made by an elephant, but it looked to some of the men as if some of the grass had been flattened by a long, heavy tail dragging through it. The pygmies report that the Mokele-mbembe hates the hippopotamus, and will kill it on sight. Curiously enough, no hippos are found in the region where the Mokele-mbembe lives. The photo on the left was taken in 1981 by a man names Herman, who led an expedition there. The photo on the right was taken in 1983 by a biologist named Angana, who saw it for about 20 minutes. The above footage was taken by Jose Bourges in 1988. This article is turning out much longer than expected, so I will have to do it in parts. Trust me – I’ve only scratched the surface in this one. To quote a line from a movie, “Contrary to popular belief, scientists don’t know everything.” And that is certainly true about dinosaurs – which are clearly still alive today. Your posts are incredibly entertaining and thought provoking. You’re a great writer and researcher. Dinosaurs, alligators, sharks and cockroaches, all still living today. How can we be sure that a few haven’t survived throughout the years? Then again, how would they reproduce? Possibly the whole center of the earth story? Anyway, great post. I’m a huge Sci-Fi fan and love the X Files. You never know until you know and I like how you keep it open. Thanks. I personally don’t believe that the earth is hollow (other than containing hell in the centre, of course), or that dinosaurs and that survived under the surface. That was simply an example of Hollywood telling us they’re still alive. I think that they live on the surface. And yes, I’m a huge sci-fi fan as well. 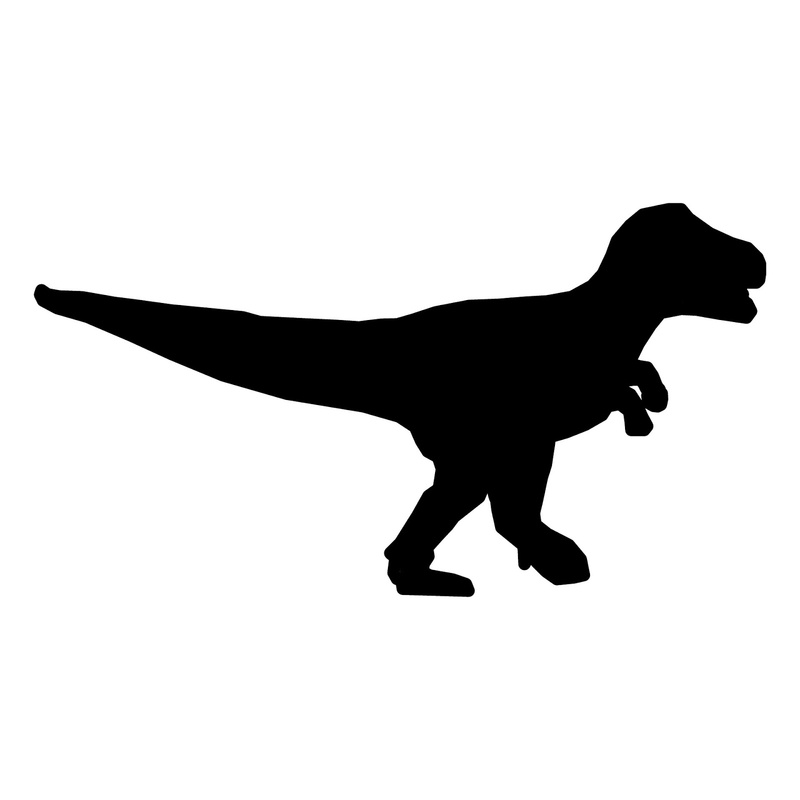 Then again, we cannot be certain what dinosaurs actually looked like, sounded or behaved. Just like evolution, Hollywood takes over and before you know it, we’re all talking about things that we really have not the slightest clue. I’m not arguing for or against, just admitting that I don’t know and I don’t believe we actually have a grasp on what did and did not take place. Liked the quote from San Andreas. All very interesting. I do still like dinosaurs, I confess. Good job. This is actually a subject fairly near and dear to me. From my youth, I’ve had a fascination with the Loch Ness Monster. We’re told it’s a whimsical cliche and nonsense. But from what I’ve studied, it’s far from nonsense. And there have been accounts of such creatures around the world. It’s more logical to be concerned about politics, climate change, the economy etc.. but the existence of dinosaurs in “modern times” is considered foolish. But there is evidence that they still roam the reclusive nooks and crannies of the earth, much like what the Bible describes the dragons within it’s pages. I encourage you to read “Dragons Or Dinosaurs”. Very enlightened and eye opening! I’ve read that. A very good book. I’ve got – and read – that book. I intend to use it in my later posts on dinosaurs. I also intend at some point to write about Nessie. I’ve had a fascination with dinosaurs since I was very young – especially living ones. It’s hard to fake those underwater pictures. And I’ve read many laughable articles of folks trying to say that the flipper pictures were somehow painted and the images of creature in the snapshot photo was just a tree under water… that dude was a dang good artist and there must be tons of trees floating around in that lake…. because they all look just like an actual plesiosaur. LOL. It’s like the recent “discovery” that the famous surgeon’s photograph is a hoax. If you look into it, you will find quite a bit of evidence that it is real (which is my opinion). Some even claim that the Loch Ness Monster is an elephant. I’m serious! Never mind the complete lack of elephants in the British Isles. in the early 90’s they found footprints along the shore of the loch, scientists determined that the creature was very heavy and had something like 3 webbed toes. May not have been a plesiosaur but confirmed my suspicion that there is/were more than 1 type of creature in the loch. Yeah, some people have seen a creature with a long neck and small head. Some have seen a large head and almost no neck. I think there are plesiosaurs (long-necked) and pliosaurs (almost no neck) living in the lake. Yes, both Enoch and 2 Baruch prophesy that. Yeah, I wouldn’t like to encounter them. Perhaps see them from a very safe distance, yes. Preferably with a camera! That sounds like it was a lot of fun! I have a little brother who loves dinosaurs so much, he loves to watch Journey to the Centre of the Earth (and, to a lesser extent, Ice Age 3) as much as possible. Really fascinating, loved this post. That is awesome! I definitely don’t believe the lying scientists about how old the earth is, and anything is possible! They find entire Mammoths here in Colorado. Just a few years ago they found one while digging up a road. Totally in tact and it still had hair and everything! Cool stuff! I’ve read a lot of posts just recently on this topic, but you truly make an engaging argument.